Those elected to office say there won’t be much down time as they get ready for the next phase. In Kansas, state representatives and senators have just over two months to prepare for the next legislative session. Most of them spent today collecting campaign signs and accepting congratulations. 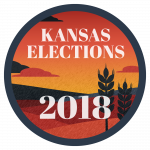 But Ken Collins, who won a narrow victory in the Kansas House District Two race, says the next few weeks are going to be about learning. “Through the election I’ve been reading up on things and learning and I still have a lot, lot more of that to do before January,” says St. Rep. Ken Collins, (R)-Mulberry. Collins says he’ll have help as he does that learning. “Senator Hilderbrand, he’s just a wealth of knowledge, he knows, I mean, he really hasn’t been up there that long either, but he knows a lot of stuff,” says St. Rep. Ken Collins. And along with helping Collins settle in, Richard Hilderbrand says he’s starting to look at the next round of legislation. “As a matter of fact we’ve got a bill that we’re working on getting prefiled. There’s, I can’t remember how many co-sponsors there are to the bill, but one of them that would greatly benefit Crawford County is to designate them as a rural opportunity zone,” says Senator Richard Hilderbrand, (R)-Baxter Springs. But that’s just one item Hilderbrand says he’s working on. He says the other has to do with how much cash is in your pocket. “To give the citizens of Kansas back that windfall tax return from the federal government that the state kept last year,” says Senator Hilderbrand. But one of the first things both men will have to do is get to know the new members of both chambers they’ll be working with. And Collins says that doesn’t just mean those from their party. “And, of course, the Democrats. I want to work with both,” says St. Rep. Ken Collins. The 2019 Kansas legislative session opens on Monday, January 14th when both the House and Senate return to session at two o’clock that afternoon.